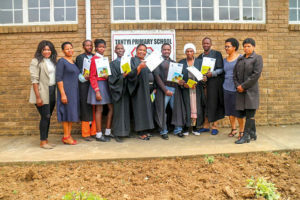 On 2 November 2018, parents of Tantyi Primary graduated from an eight-week programme called Wordworks Home School Partnership Programme (HSPP). 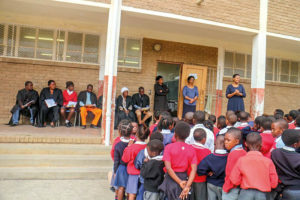 The graduation took place during assembly to encourage learners that hard work pays off, and so that they witness their own parents reaping those benefits. The Programme is aimed at instilling ways of supporting informal learning at home. It equips and up-skills parents living in under resourced or previously disadvantaged communities to become effective partners in early literacy development. The eight-week short course took place at Tantyi Primary every Tuesday. Parents were very determined because they want to help in anyway they can towards their children’s reading and numeracy abilities. 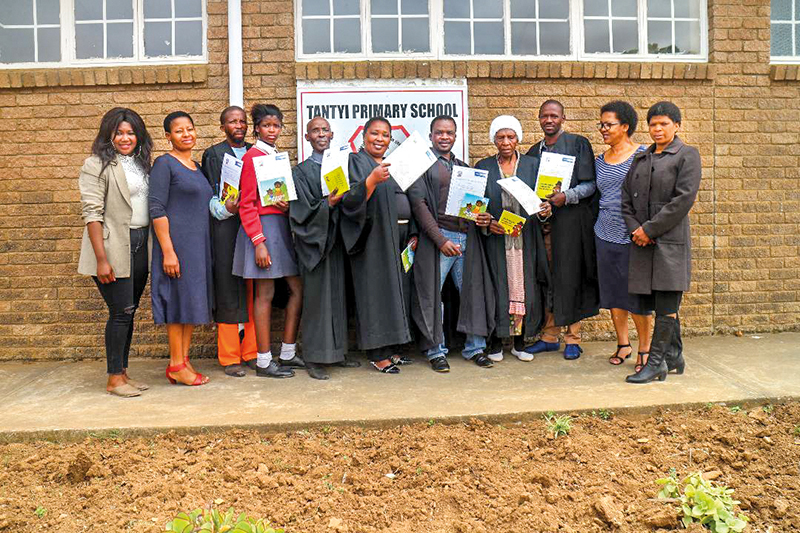 The programme was facilitated by Amanda Nesi, a literacy support fieldworker from Gadra Education, Mrs Mzizi and Ms Peter who are two Foundation Phase teachers at Tantyi Primary School. 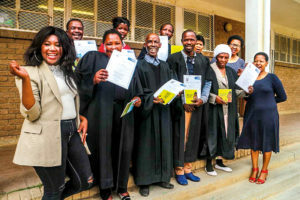 The programme would have not been a success without the help of Lebone Centre’s Cathy Gush, who ensured parents received resources to assist their children at home, as well as refreshments when they attended the course. Parents as old as 73 attended this course, proving that no one is ever too old to learn. * Amanda Nesi is a staff member at Gadra Education.